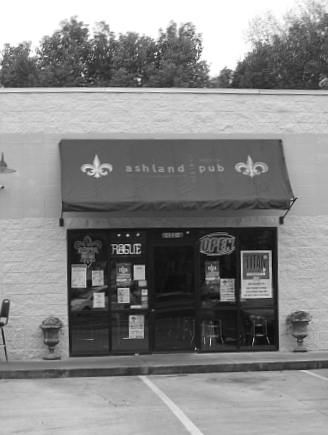 Ashland Pub was the brain child of Cortland Inge/Jennifer Hunt and opened in June, 2008. Chris Lee purchased Ashland in January, 2010. After refining, AMP's menu became focused and became even more committed to delivering the highest quality product possible with generous portions and great service. 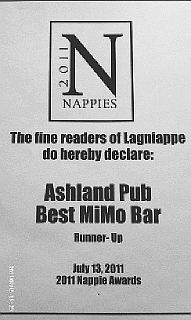 The Pub has a full wine and liquor menu but no true pub would be complete without some quality beer. They deliver 40+ beers in draft and bottle; from the budget conscious to the more expensive micro-brews to hopefully exceed the expectations of their customers. Chris has been in hospitality services for a number of years and has a very good and loyal kitchen and FOH staff that strives to make every customer visit an experience they enjoy with their friends. THE "Cheers" of Midtown, if you will. Tell them Old Mobile Restaurants sent you.